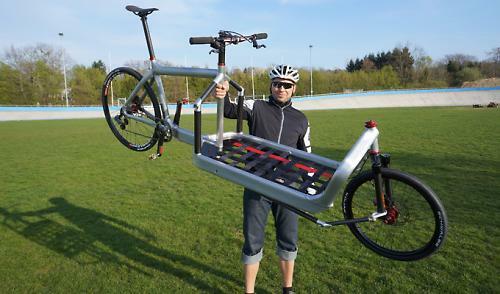 Is this the world’s lightest cargo bike? At 15.42kg, this special one-off Bullitt is claimed by the German cargo bike shop that created it to be the lightest in the world. We couldn't verify that claim but it is certainly pretty darn light. Bullitt Bikes are a Copenhagen, Denmark company specialising in cargo bikes. The bike's a modern re-imagining of the long wheelbase cargo bike. We featured them on road.cc a few years ago. To put the weight of this custom cargo bike into perspective, the top-dollar TNT model weighs a claimed 22kg (48.4lb), with a base model in the region of 24kg (52.8lb). So to get down to 15.42kg (33.9lb) is impressive. Just how did they manage to get the weight down? By sticking with the same basic layout as a regular Bullitt cargo bike, but constructing it from a combination of lightweight aluminium and carbon fibre tubes. Mechanical engineer Marc Poth and Twenty-inch bike shop owner Marcus Stiletto decided to tune a Bullitt to see how much potential there was to shed the weight. Every part of the frame has been custom machined by examining a regular Bullitt to see where weight could be saved. 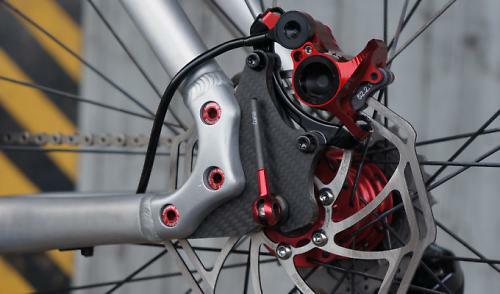 They also replaced stock parts with lighter components; the carbon fibre fork alone saved 600g. They had to machine a lot of their own parts, including their own bracket for the steering rod to be attached to the fork leg. 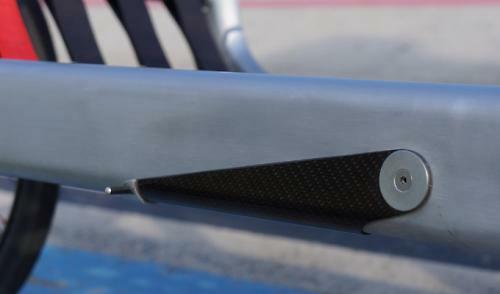 The aluminium reinforcing struts in the frame were also replaced with custom-made carbon tubes. They machined their own dropouts from carbon fibre. The changes to the frame resulted in a claimed 800g frame weight. Then they built the Bullitt with some lightweight components: a Shimano Di2 groupset, BrakeForceOne disc brakes with lightweight rotors and a Dura-Ace cassette. Stan’s ZTR Crest rims on Tune hubs with tubeless tyres keep the weight down, a Tune carbon saddle and a carbon-fibre handlebar ensured the bike weighed as little as possible. 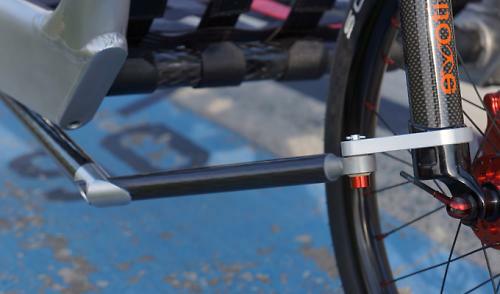 Even the kickstand is made from carbon fibre, and when not in use it sits flush with the frame. And here’s the lightweight cargo bike in action being ridden by its creator Marc Poth. Thanks to www.cargobike-darmstadt.de for the photos.